Make a Smart Offer – Ask your real estate agent for prices of comparable homes in the area that have recently sold, and use those figures to help determine your initial offer, keeping in mind that all properties are different and some comparable and some do not. Start a tad lower than those figures and be open for a counter offer if the property is new to the market and in a hot area. Make clear demands. – Be up-front about extras, such as curtains and light fixtures, that you want included with the house. Do not expect to get the yard art, if you have not requested it, these are often times gifts to the owners and hard to part with. So, before we write that contract talk with your agent about all your expectations of personal property. Use the closing date as a negotiating point. – If you don’t have to move by a certain date be flexible on when you move into your new home. You might be able to get other concessions from the sellers. Ask the seller to buy a home warranty. – A good one will cost about $400 and can cover the cost of any major repairs for a year after closing. Ask for referrals. – Ask friends, family, your real estate agent, or loan officer for recommendations for lenders. Also, consider local credit unions. They have low rates if you qualify for membership. Calculate your down payment. – To avoid having to buy private mortgage insurance, you need to pay at least 20 percent of the purchase price before closing costs. Obtain quotes from at least three lenders. – Consult with both mortgage bankers and mortgage brokers to get the best interest rate but remember you only have a certain number of days, check your contract on this, to make complete loan application before your binder may be at risk. Ask your agent to outline the process before you start making offers. Decide if you want to pay points to lower your rate. – Sometimes a bank will let you pay upfront to lower your interest rate, but it can get expensive. This may or may not be a wise decision, so discuss this with your lender. Find a qualified inspector. – Contact one of the professional organizations to find an accredited, self-employed expert who has is familiar with the area. Expect to pay about $300 to $750 for a general inspection. Request a sample report in advance. – Find out what the finished report will look like first. You want it to be informative and easy to read. The report should include photographs of anything that’s wrong and should also point out the positive things about the property. No house is perfect! Consider additional assessments. – Ask your real estate agent if they recommend additional inspections above and beyond the standard one. This will depend on the style of the house and when it was built, i.e., septic tank inspection, radon gas or well water. Again, your Realtor can guide you on this. Attend the inspection. – This is your opportunity to ask questions about the infrastructure of the house. Be sure to learn about the operation and locations of the gas and water shut-off valves and the breaker box. Ask the repairman to provide written estimates for all fixes. 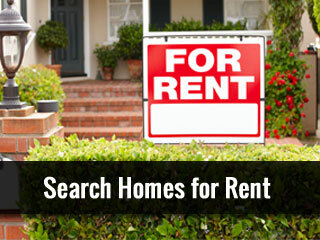 – Your real estate agent will submit to the seller the anticipated costs of any problems found during the inspection. Ask for a price credit. – You can control the quality if you schedule the repairs yourself. Request that the cost of any fixes be deducted from the sale price and have the work done after the purchase is final. Have the property appraised. To determine its value, you need an appraiser, which your lender will hire. Make sure the appraiser has a copy of the sales contract to verify what is (and isn’t) being sold. Comparison-shop for title insurance. – You can choose the provider for this coverage, which protects you and your lender against liens. There’s no discernible difference in protection, so you can go with the cheapest option. Just be sure to ask the insurer for their rating. Consider hiring an attorney. – Lawyers aren’t always necessary for residential purchases, but if your situation is complicated or if you’re buying a foreclosure, it’s a good idea to hire one. Lock in your interest rate. – Do so 30 to 45 days before your close. Rates aren’t expected to rise significantly for at least the next year and a half. Obtain a detailed list of closing costs from your lender. – Besides the expense tied to your loan, you may have additional fees, such as title services and transfer taxes. Make sure you take the time to do a final Walk-Through prior to closing. You will be ask to sign off on a Walk –Through either stating everything is okay, or specifically what needs to be repair/replaced prior to closing.